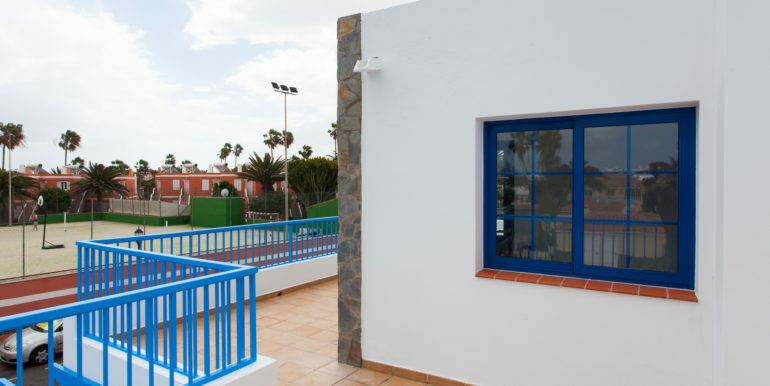 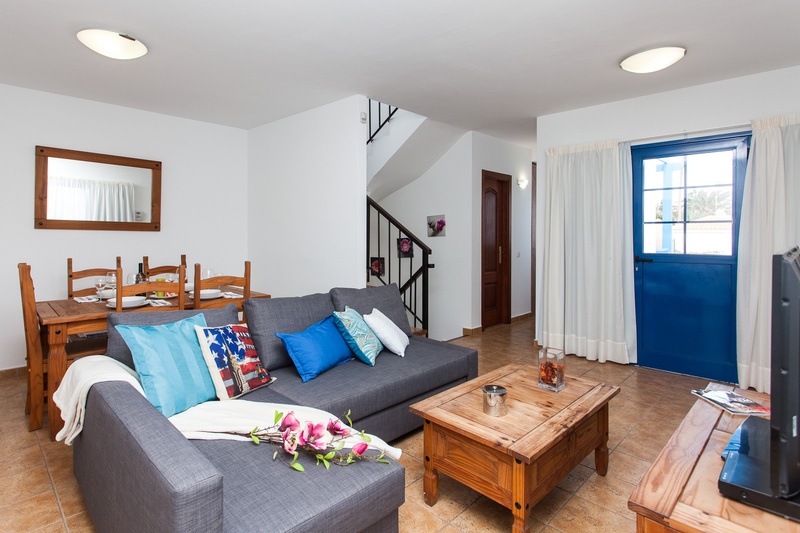 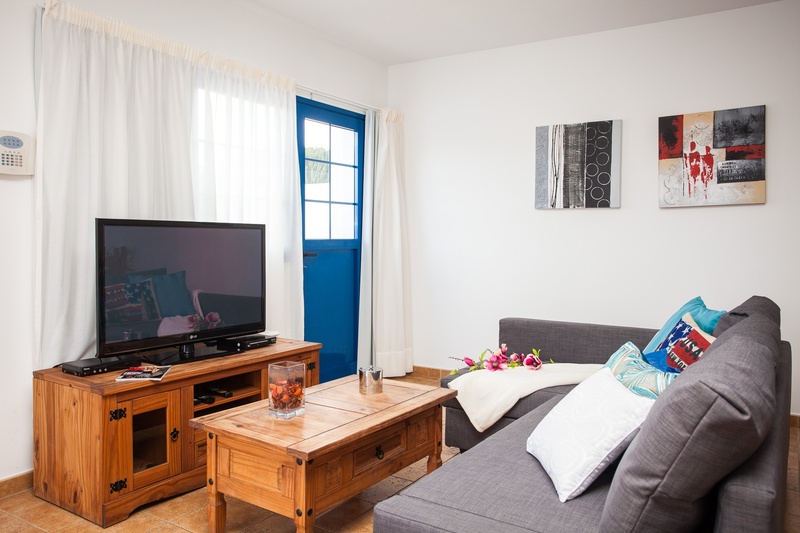 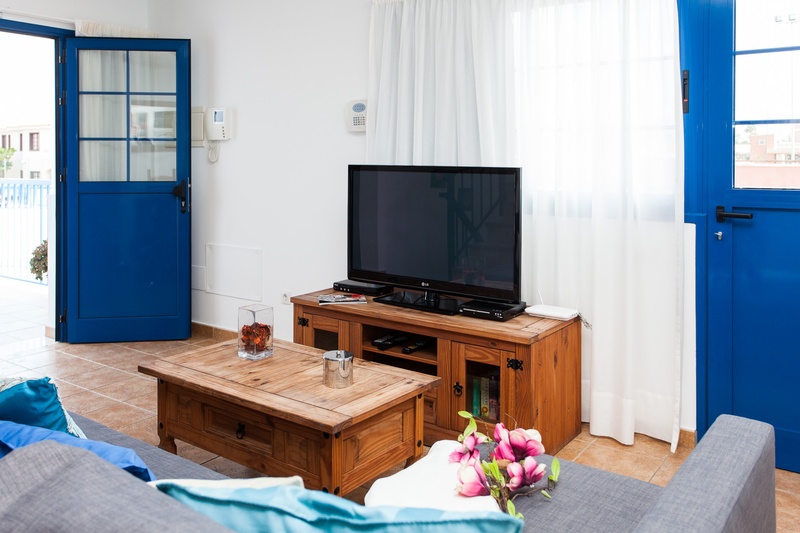 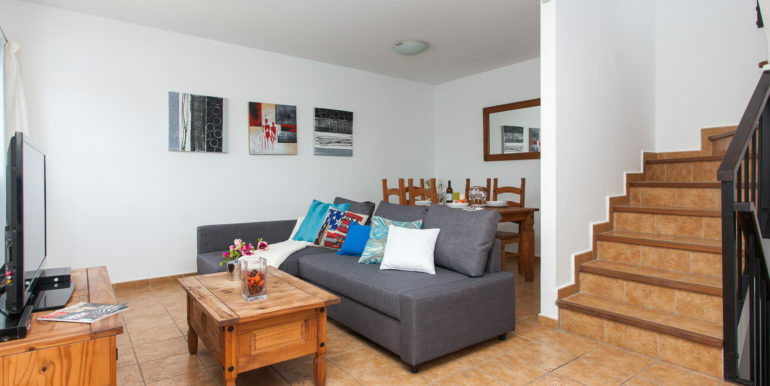 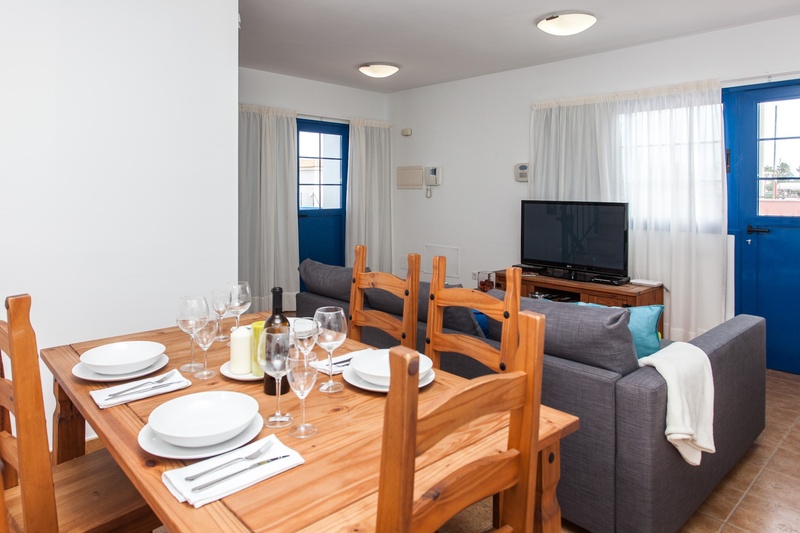 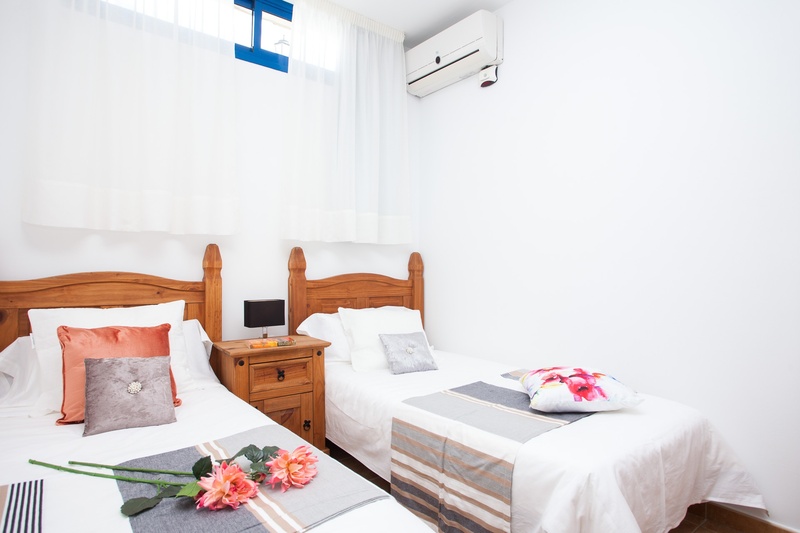 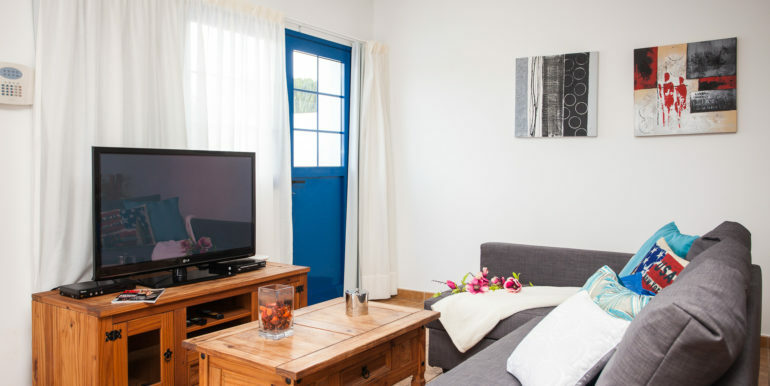 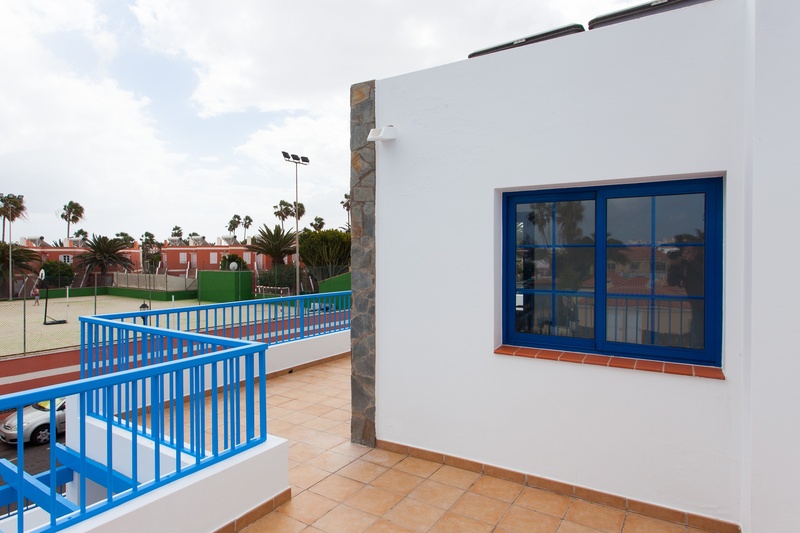 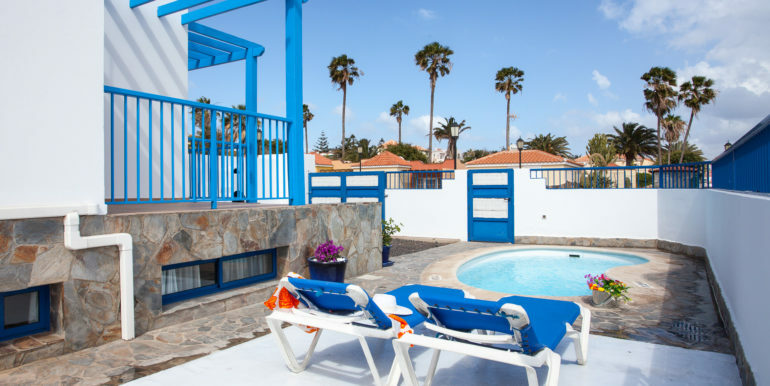 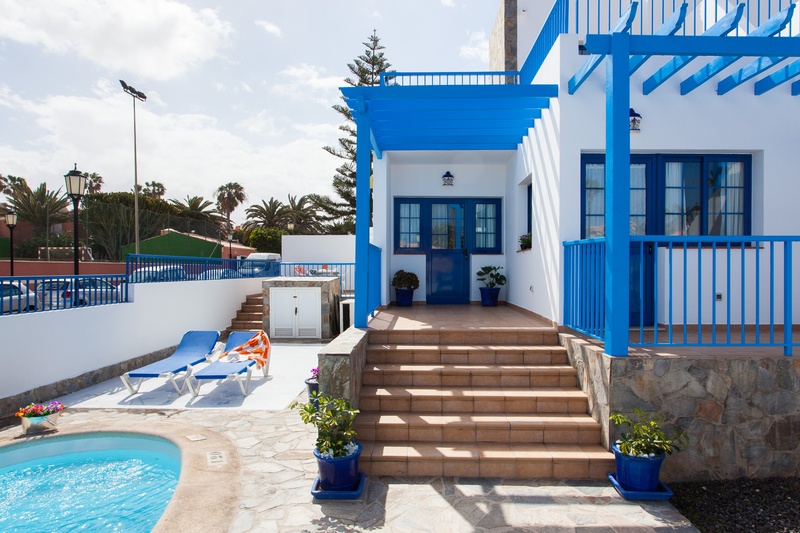 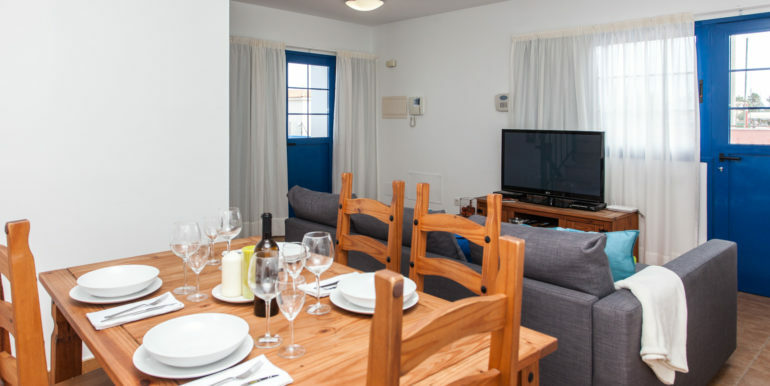 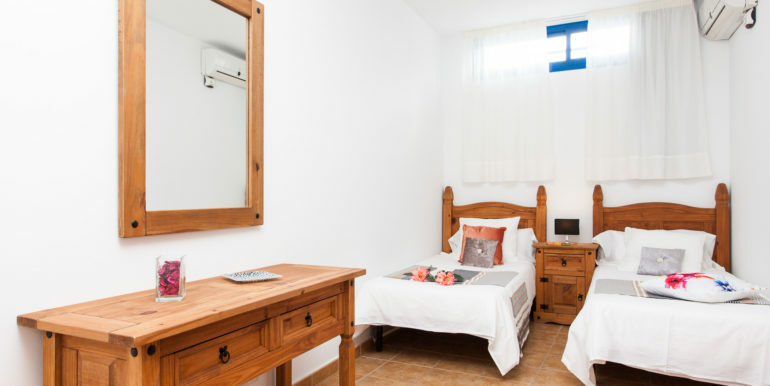 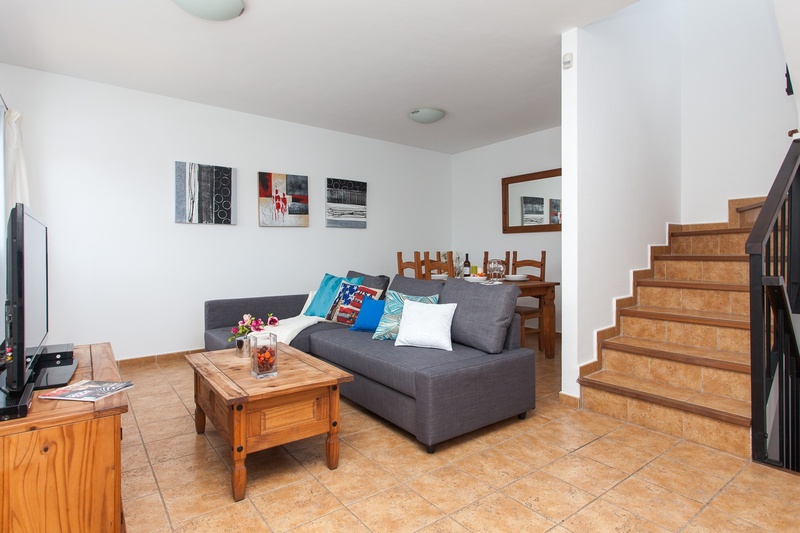 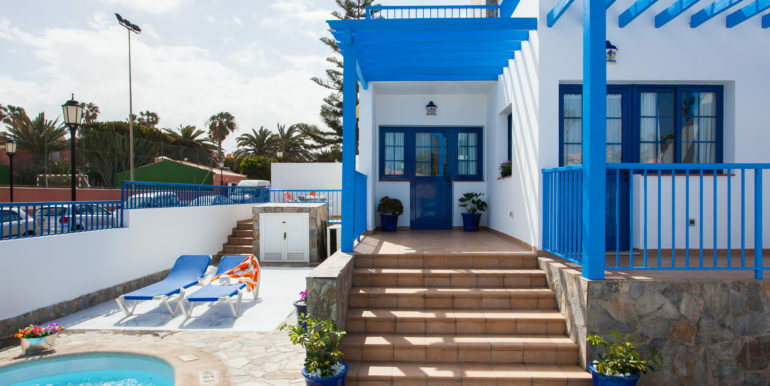 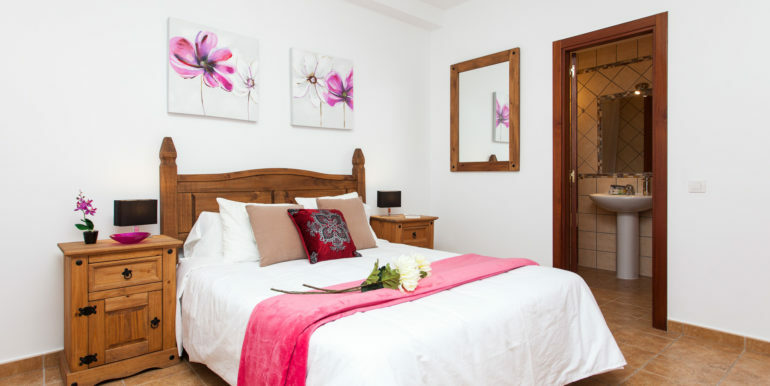 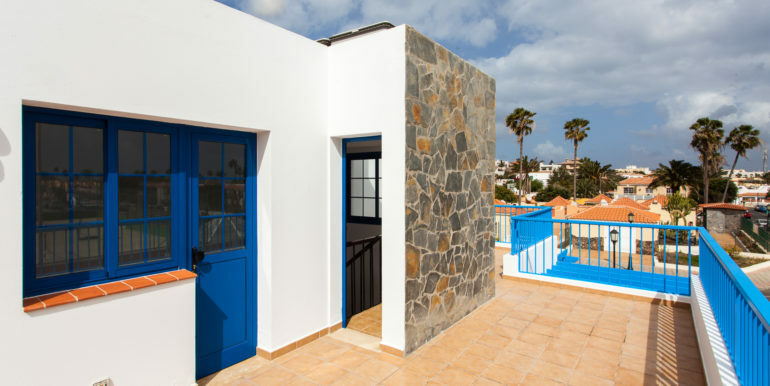 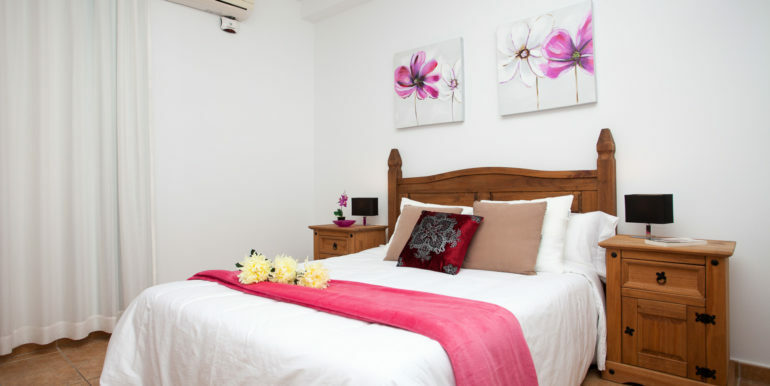 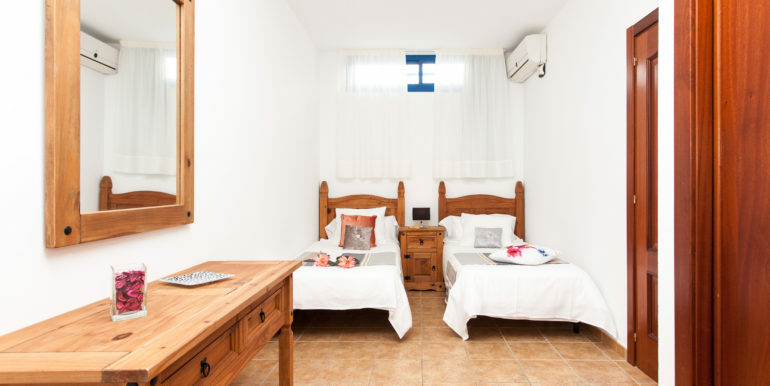 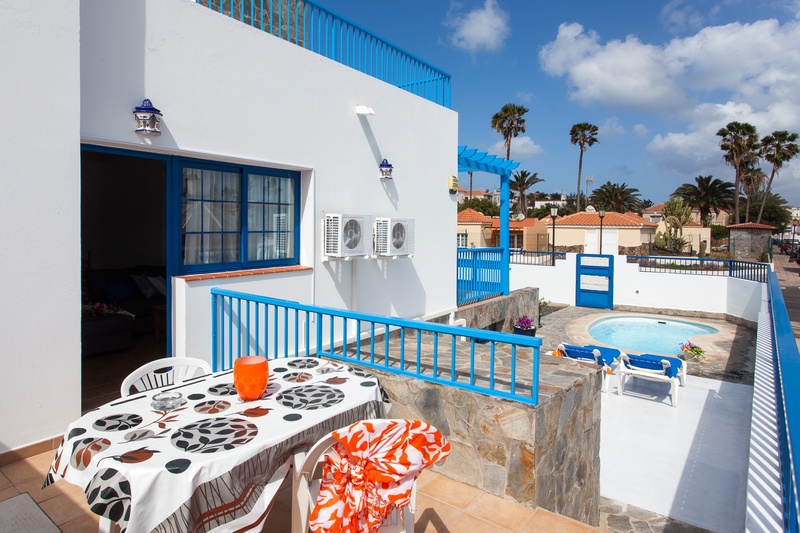 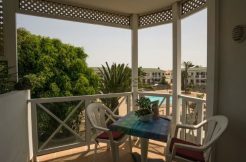 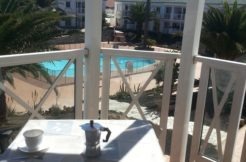 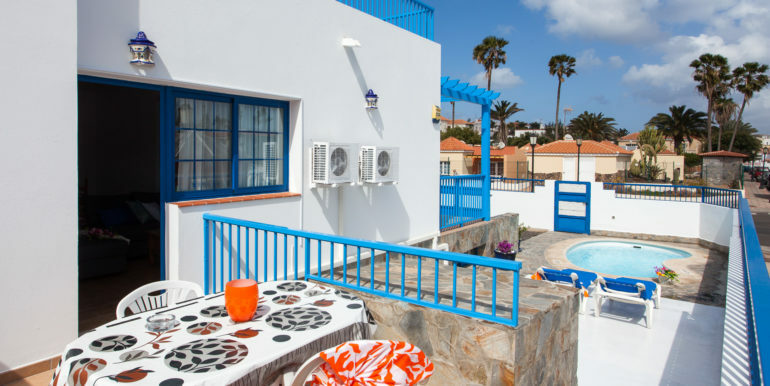 Totally furnished and equipped villa for sale right in the centre of Corralejo, in a quiet road at a walking distance from the beach. 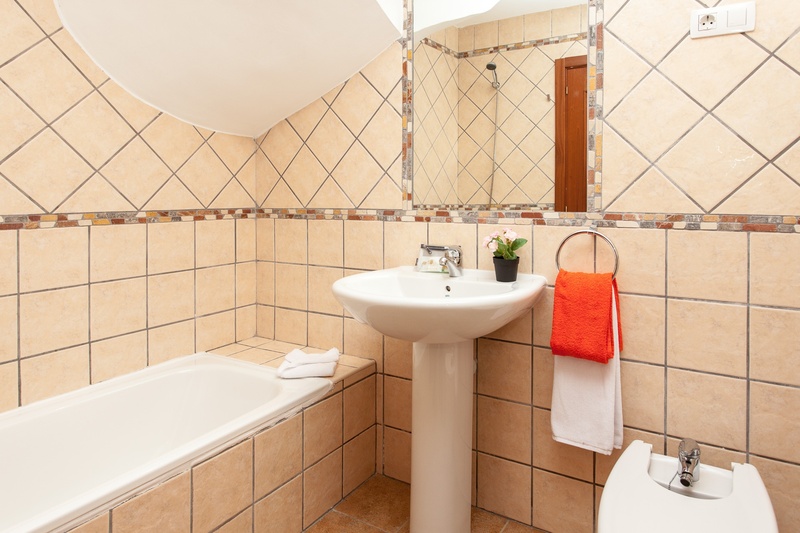 The house is divided into three floors: on the ground floor it boasts of three double bedrooms, one of them with suite bathroom and a second bathroom. 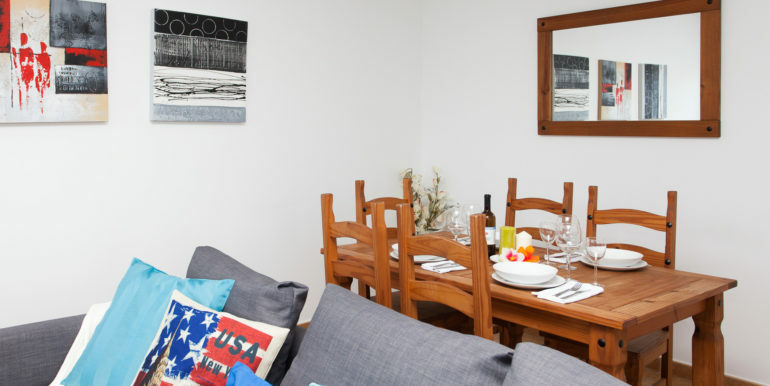 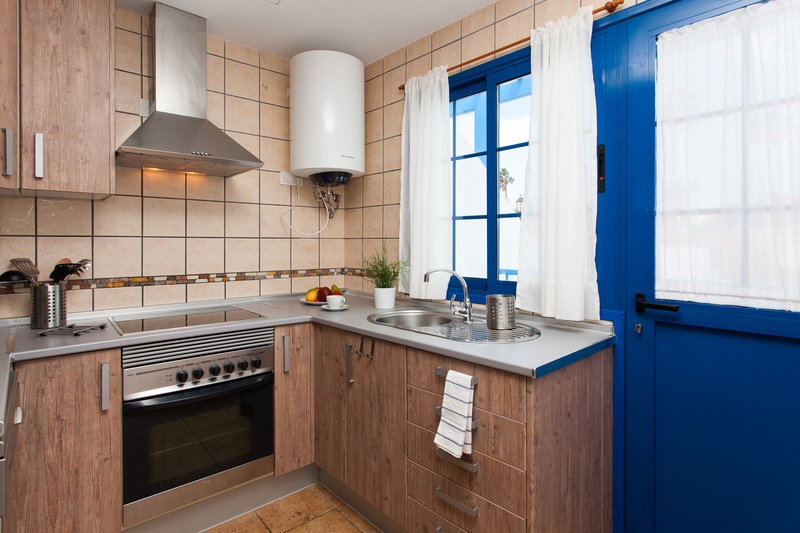 On the main level it has a living-dining room with an open plat fitted kitchen connected to the terrace and another bathroom. 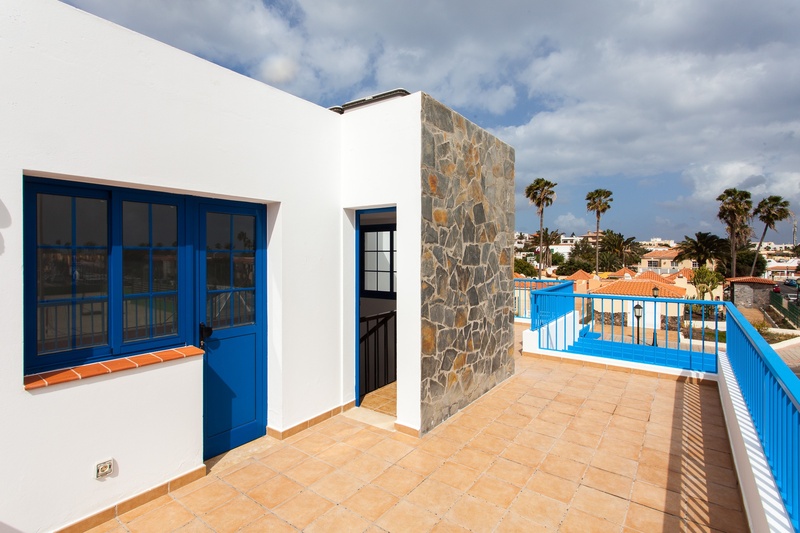 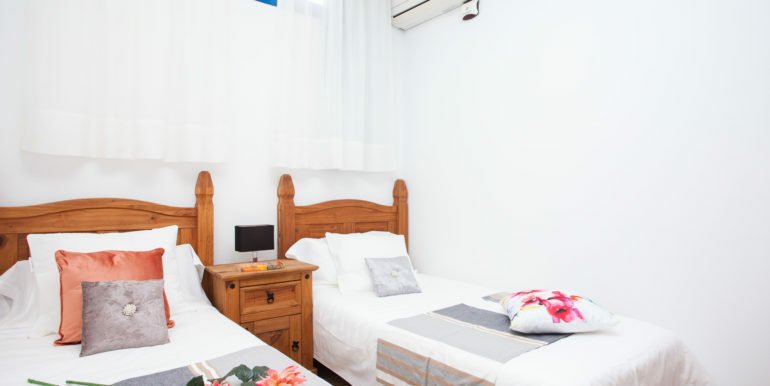 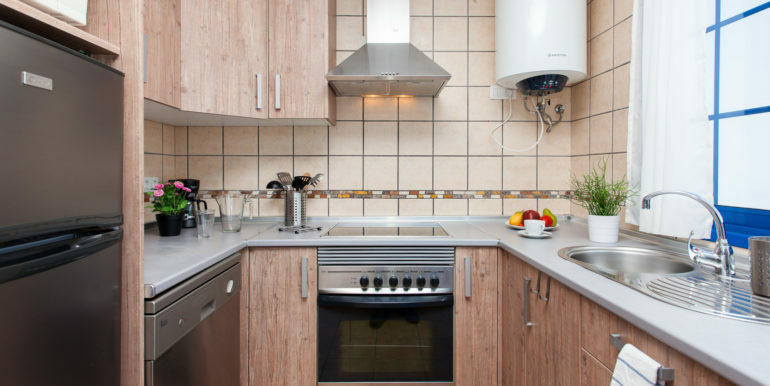 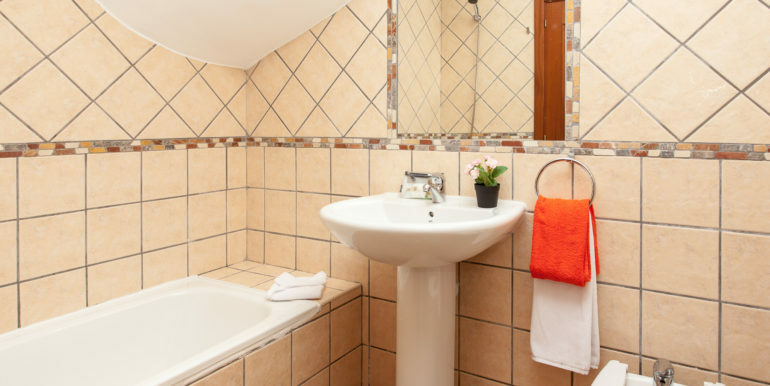 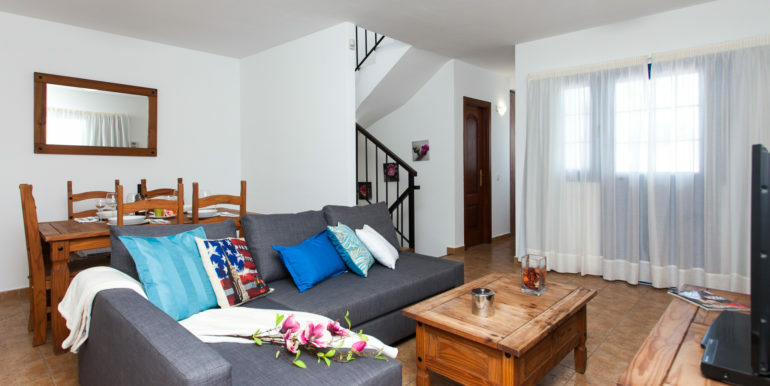 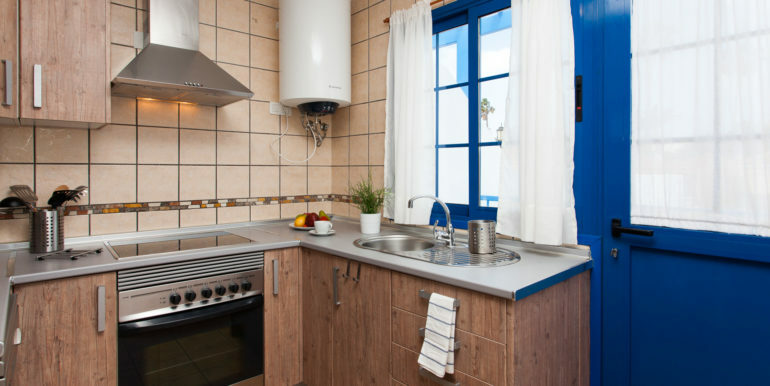 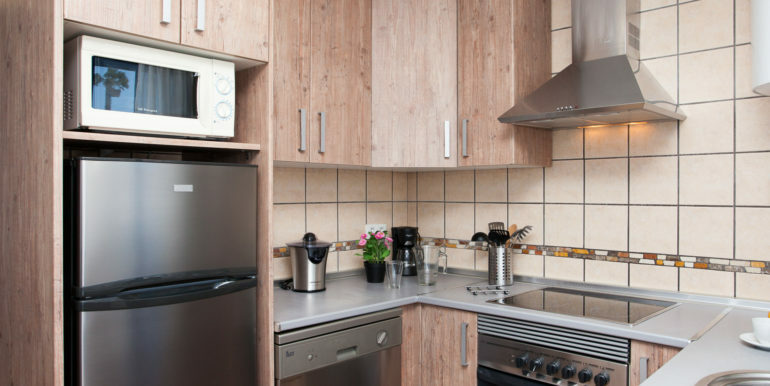 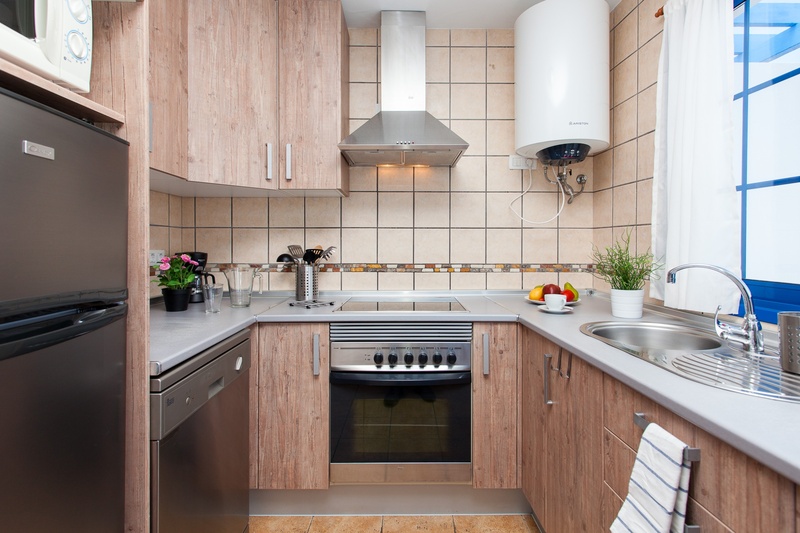 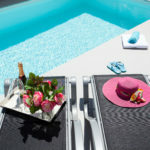 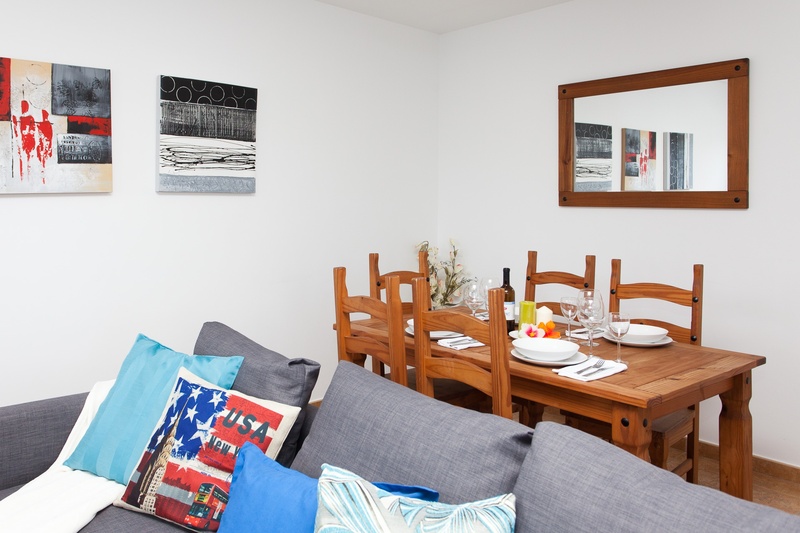 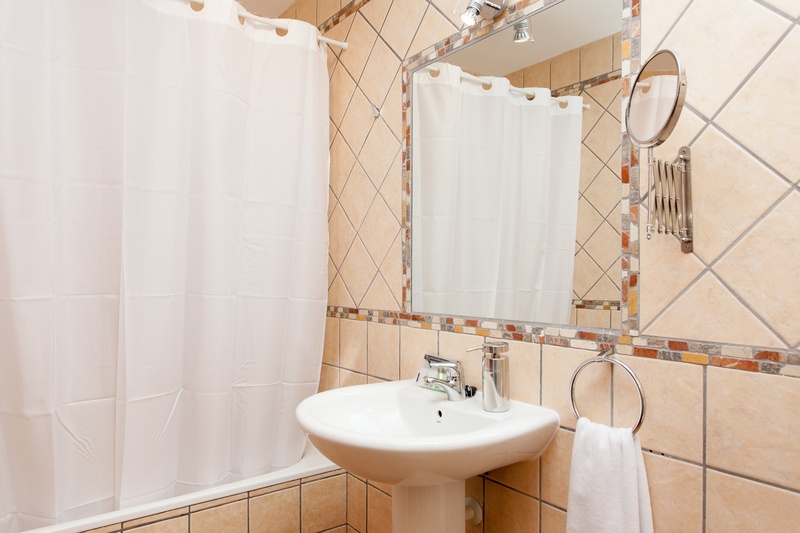 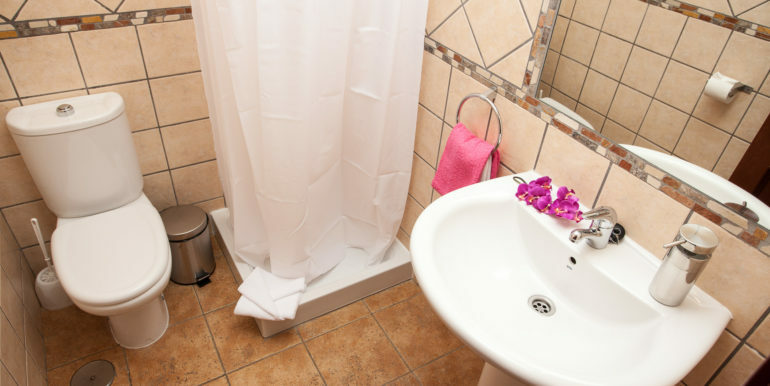 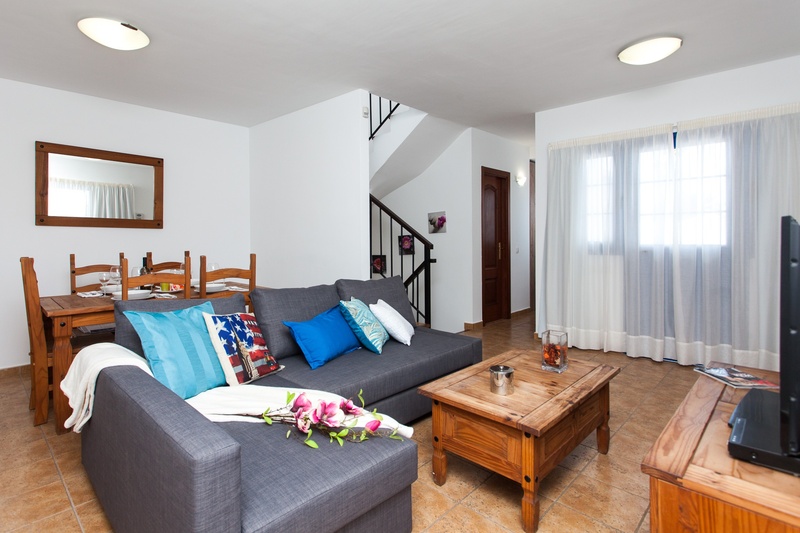 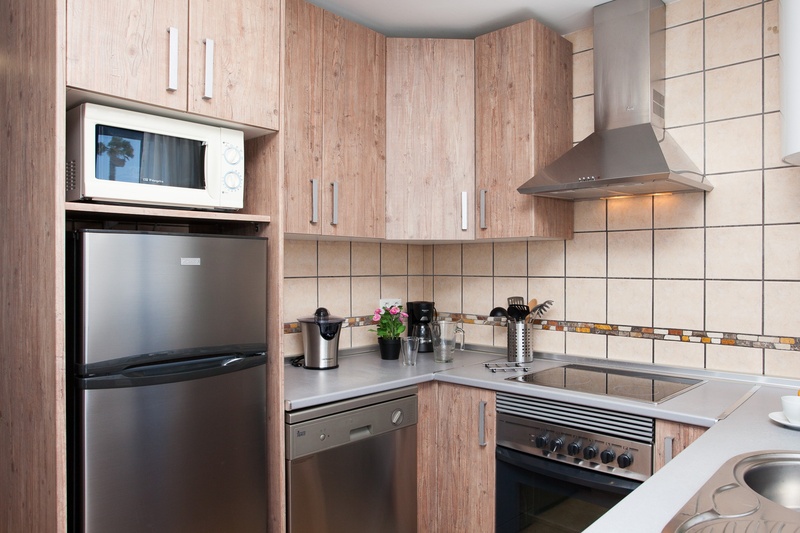 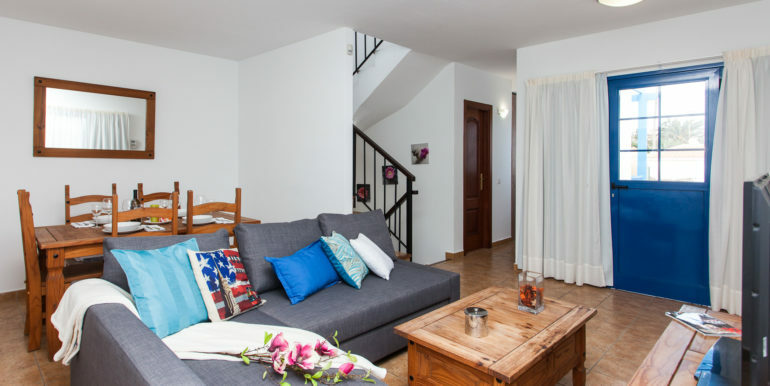 On the upper floor it boasts of a laundry room and a spacious terrace with water supply. 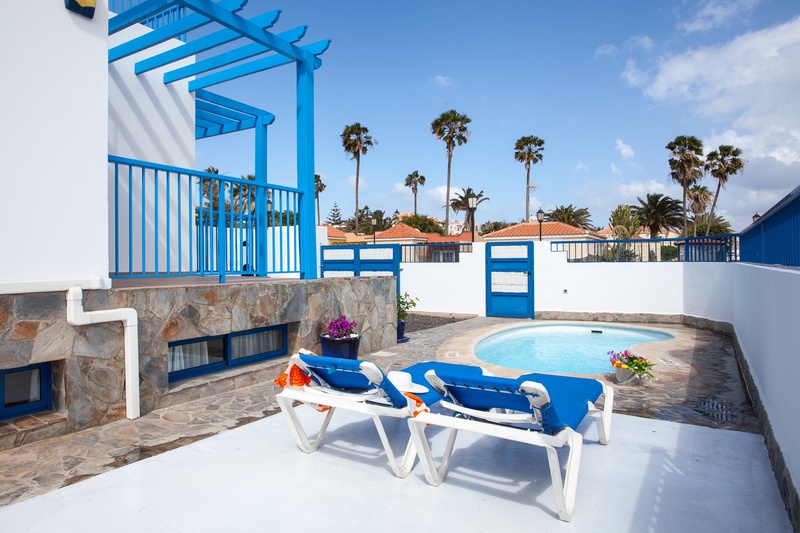 In really good conditions, this house is ready to live in or to rent and boasts of a sunny private hitted pool and of a terraced private outdoor space, private parking area and air conditioning all throughout the house.